Offering tailored solutions, the logistics expert simplifies global trade of fashion goods around the world - right on time to meet increasing e-commerce demand. DHL is strengthening its ties with the fashion industry and will intensify its participation in this e-commerce driven business sector. DHL has teamed up with multiple fashion organizations across the globe to design tailored initiatives that will help fashion businesses to streamline their international supply chain and expand their business into new markets. 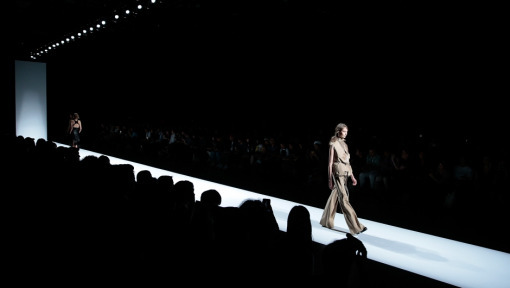 Among the new partners are the Council of Fashion Designers of America (CFDA), the British Fashion Council (BFC) and Camera Nazionale della Moda Italiana (CNMI) in Milan. "It has always been a major goal of DHL to support the fashion industry in all its different facets. 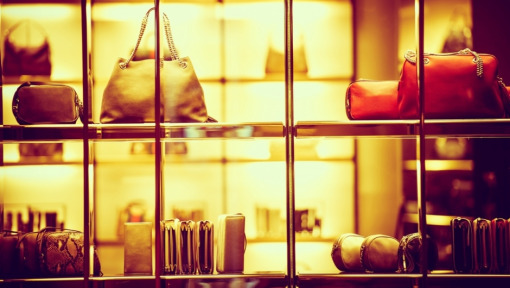 The new approach will allow us to reach an even larger audience of fashion businesses consistently throughout the year with tailored support across their various needs, from producing a collection to shipping it to fashion shows and setting up an e-commerce presence." said Arjan Sissing, Senior Vice President Corporate Global Brand Marketing, Deutsche Post DHL Group. As a partner of the leading U.S. fashion trade association, DHL will co-sponsor and work with CFDA's innovation partner, Accenture, on a study looking at the future of the industry's supply chain to help fashion designers more effectively use global supply chains and shipping networks as key means to better target customer needs and elevate their brands. The Council of Fashion Designers of America Inc. is a not-for-profit organization with a membership of more than 500 foremost womenswear, menswear, accessory and jewelry designers. 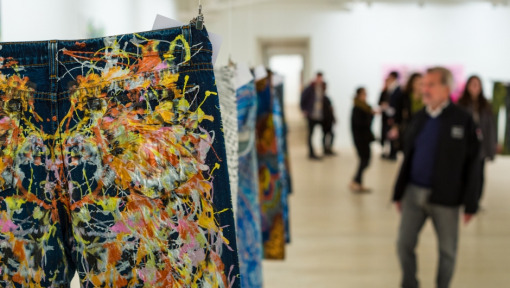 Through its cooperation with the British Fashion Council, DHL will launch an award program recognising 'International Fashion Potential' supporting British fashion businesses in their ambition to go global. The annual program offers mentoring and logistics support for designers. DHL will provide an annual prize for a promising fashion business and the winner will be announced during London Fashion Week in September 2017. In collaboration with Camera Nazionale della Moda Italiana DHL will organize multiple workshops involving start up brands, young designers and members. These seminars will give insights on e-commerce and custom regulations in the fashion business as well as the opportunities and challenges of different trade lanes and transport solutions. Additionally, DHL will form part of a jury together with Camera Moda to select the most international brand designer from all young designers participating. The award will be presented at the Camera Moda opening event in September 2017, and the winner will receive a DHL care package to ease his international express shipments. It has always been a major goal of DHL to support the fashion industry in all its different facets. DHL will continue its long-standing partnerships with London Fashion Week, Mercedes-Benz Fashion Weeks in Sydney, Berlin, and Moscow. In addition to Mercedes-Benz Fashion Week in Australia, DHL is also a partner of the Fashion Laureates. As a part of its fashion industry engagement in Russia, DHL was also a contributor to the Fashion Futurum Conference. DHL Express Russia, the Official Logistics Partner of the event, held a workshop on cross-border e-commerce to give valuable advice to fashion businesses aiming to grow and tap into new markets in the future. The event brings together fashion professionals and entrepreneurs to discuss future trends and developments in the industry. 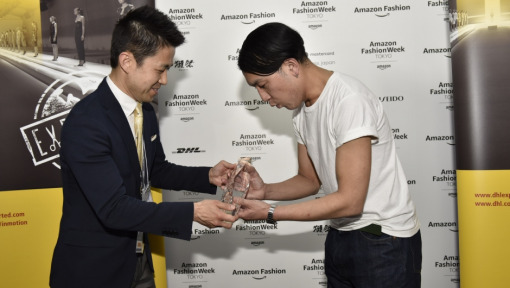 The logistics company will also continue to be involved in Amazon Fashion Week Tokyo to support the Japanese fashion industry, including the DHL Designer Award, fostering the development of Japanese fashion talent. As a committed partner of the fashion, luxury goods and retail industries for decades, DHL provides a comprehensive range of logistics solutions. Each solution is tailored to individual requirements along the fashion supply chain including development, marketing and distribution. Among the services that the logistics company provides are time definite and day definite express delivery services, e-commerce fulfillment solutions and fashion apparel centers of excellence including value-added services, such as quality control. 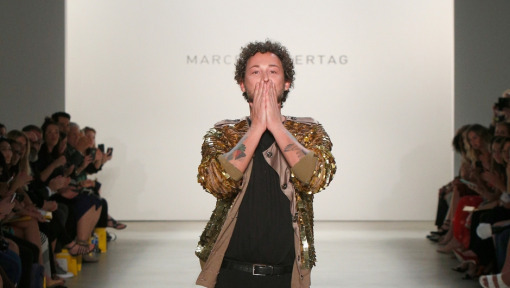 COMPETITION: Win Tickets to Mercedes-Benz Fashion Week Berlin! DHL sets the stage for "Jeans for Refugees"